Looking for a way to streamline how your business does things? Complaints Pro is a cloud-based customer issue / quality assurance software that helps you handle every issue in a timely and efficient manner. It aggregates your customer’s insights, empowering you to improve your products and processes. Turn customer complaints into an opportunity to improve your business with our complaint management software. Finally an integrated approach to Complaints, Risk and Compliance. Learn how our efficient customer complaint handling software can save time and money, improve company performance and drive continuous improvement. 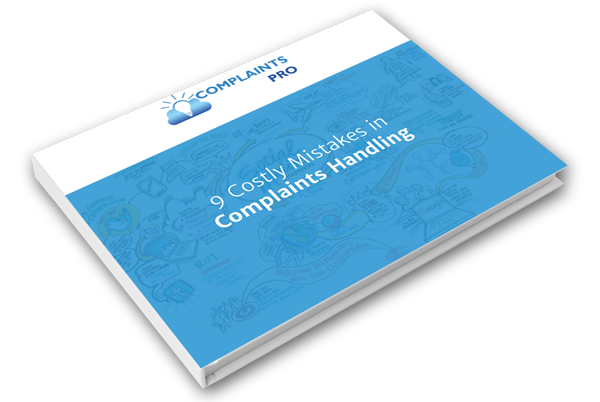 Improve your complaints handling processes with tips designed for Australia. Stay on top of what’s being said about your company. Monitor your social media channels and capture, rank and respond to conversations directly from our software. This gives you fully integrated customer complaints handling tools, so that you can keep everything related to a case organised and easy to access. You can also create reports and dashboards to help you monitor the performance of your whole complaints management system in place. Complaints Pro helps you identify root causes by identifying clusters of consumer issues with similar characteristics and alerting you before they affect too many people. You can also document your root cause analysis directly in the software database. Setup entire templates for Corrective and Preventive Action Plans, deploy them, assign tasks to your staff, and monitor the success of those plans. Unlike most complaint management software in Australia, this database system helps you collaborate with employees, partners and vendors to improve your products and processes. With tools such as Chatter, Private Channels and Supplier Community Crowd Support, you can bring B2B teams together to implement permanent solutions. Check out additional specialised features available for professional customer complaint software. We’ve built custom modules designed for suppliers, manufacturer and government as well as specific industries, like insurance and food manufacturing. If you need a complaints and case management software designed for Australia’s regulations and industry needs, contact us today. Everything you need to manage problems and operate an effective customer complaints management database, whilst driving continuous improvement. Includes all the features available among all editions. Features Include: foreign object and potential illness alerts, reason code hierarchy and shelf life assessments. Features Include: Make sure your information is stored privately and securely.